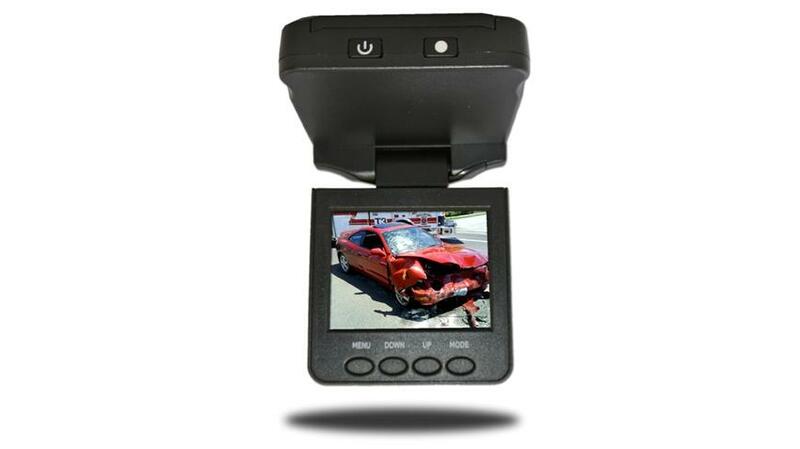 This Dash Camera has an HD camera (1280 x 960) that you can swivel 270 Degrees. The system actually speaks to you when you press the buttons so you can safely hear what you are pressing without looking. It can also continuously charge while recording so you are never without your camera. "I wasnt sure if I wanted to spend the money but bought it a few months ago. A Week ago I got sideswiped and got it all on tape, THANKS TADIBROTHERS"
WOW Just like what i saw on Youtube! "Ive wanted one of these ever since I saw the meteors in Russia and their crazy accident videos. After driving myself nuts with research i bought from Tadibros because they have the largest selection they provide unlimited phone support. in any case last week my husband borrowed the car and recorded the craziest car pile up in my town here in Meadows NJ. (Ill be posting it on youtube soon)"